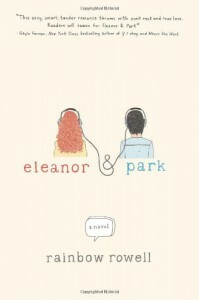 I'm gonna be honest with you, I didn't really like Eleanor and Park. I mean enjoyed it, but I didn't really like it, and I really expected to after reading Fangirl. 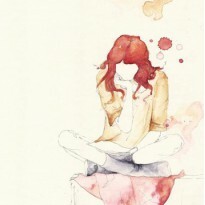 I related to Eleanor, I understood the kind of abusive parents that she was coming from. Her mom pretty much neglected her kids and they had to live with Richie as well, which I'm not even going to go into the kinds of things that he probably did to Eleanor's brothers and sisters in addition to the nasty things he wrote in her textbook. I was pretty much screaming by the end of the book because I wanted him to get arrested so badly. But I understood the fear that she felt when she was in the house, and I understood why she stayed in her room all the time in order to avoid getting in trouble with Richie. I felt for her when she felt completely helpless and unable to save her family, it's really easy to say "well her mom should've just taken them and left" but it's not as simple as that. What I didn't like about this book? The romance. Oh God I hated the romance with everything that was in me I hated this romance. It just wasn't believable. At the beginning I was like okay I can see how the two of them developed a crush on each other and then they got all into "I love you" and stuff and I was like what? Slow down there friend, you haven't known each other for that long what are you doing? Why are young adult novels so allergic to the characters just liking each other a lot? Why do they all have to fall in love within a week of knowing each other? Y'all are like fifteen what do you mean you're in love? And the romance was what killed it for me to be honest with you. I didn't want to read the book because once the romance started up it just put me off. I'd have to deal with Eleanor and Park being all mushy and weird around each other and it just got really boring really fast. I didn't care about the romance and I most certainly couldn't relate or understand it, but maybe that was just me. I did like the writing and the contrast between Park's family and Eleanor's family and I enjoyed the fact that Eleanor was so aware of the difference and how uncomfortable it made her and how she didn't know how to deal with it. It wasn't a bad book, but it wasn't a great book either.